Petri Dish, Deep, 25 x 100 mm, Pack of 20 is rated 4.8 out of 5 by 4. Sterile polystyrene; 25 × 100 mm. More growth room. Twenty dishes per unit. Rated 4 out of 5 by Erinn from Love these! We bought these a month ago for use during aquatic macroinvertebrate sampling. The plastic is not quite as thick as I would like, but is thicker than some others we've tried. The depth is perfect for larger insects, or for vegetation. Reasonably priced-- we will definitely be ordering more! Rated 5 out of 5 by vtasche from These are good quality petri dishes. 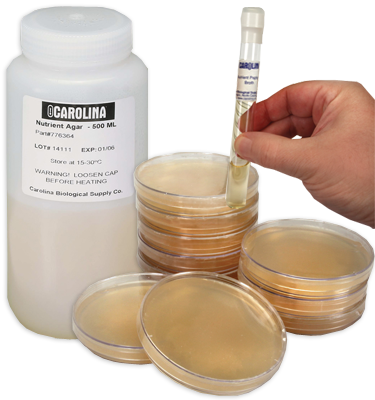 We use these petri dishes for insects and plant diseases brought into our Master Gardener clinics. They are a little taller in size so that samples of diseases on twigs or insect damage on plant parts will fit inside the petri dish. Rated 5 out of 5 by Gibby from Exactly what I expected Product arrived in a timely fashion and was exactly advertised. You can't ask for more than that. Rated 5 out of 5 by Scooby from Great product for the price This is a great product to buy for a science fair product.